Which begs the question as to why anyone would want to spend time and trouble studying ‘chiropractic’, which its devisor D D Palmer stated was a ‘different system from medicine’, rather than medicine. And quite what the point might be of offering ‘integrated’ education in two quite different systems. Practitioners who have gone down the ‘chiropractic’ path, for whatever reason, should do their best to overcome the ‘sunk cost fallacy’ and retrieve their careers by training as physiotherapists or councillors. As a surgeon I never operated for ‘low back pain’ – but did so to remove pressure crushing, and defunctioning, a nerve root (neuropraxia or neurotemesis). And I only used MRI to indicate where I should operate, not whether I should. Without very clear indications indeed for surgery, ‘Ernst’s Exercises’ will suffice, and be cost effective. RR, you must be very rare amongst your colleagues in regard to surgery and MRI’s. I applaud your management, it is (or was) very safe. But how many of your colleagues (especially in the U.S.) reach for the MRI referral pad at the slight hint of low back pain, “Just to see what the problem really is”. How many reach for the opiate prescription as first choice before trying all the safer methods of treatment? I would suggest that this over-management has cost us millions of wasted dollars/pounds, far in excess of what is reasonable. But that’s a tu quoque logical fallacy, and a red herring. Do not compare bad medicine with chiropractic. They’re much the same! Based on the opinion of the Lancet Low Back Pain Series Working Group, here are the reasons to integrate. 2. Help break down professional barriers. 3. Develop a common language. 4. Create new and innovative strategies for practice. 1 Is what conventional medicine constantly strives to do. 2. There would be no ‘barrier’ if students contemplating ‘chiropractic’ qualified in medicine. As I did. 3. Medicine is practised by those with many languages. ‘Twas ever thus. (i) That adding cow pie to apple pie does not make apple pie better. (ii) That DD Palmer always intended chiropractic to be different from medicine. Enjoy your career as best you may, but please don’t harm mine. With respect to the establishment of Australia’s Macquarie University private hospital and medical school without the initial requested removal of the universities long established Centre for Chiropractic. It is time for the integration of both health disciplines so innovative management of spinal pain and health can be more effectively pursued. innovative management of spinal pain by the chiropractic profession? could you please list some of the innovations chiropractors have contributed to this field in the last 12o years? other that falsely calling themselves ‘Dr’, I mean. EE, who can use the title “Dr”? In the UK, anyone can use the title ‘Dr’. Or ‘Lord’ as in Sutch. Some dentists do – though why they are not proud enough to use ‘Dentist’ (Dn), is for them to explain. Unless a registered medical practitioner or qualified PhD, why would anyone want to use ‘doctor’, unless to mislead and defraud? Write to DMX and find out for yourself. normally, it is the one who makes a claim who ought to substantiate it – or did i get that wrong too? Regarding instrument-based manipulation. contact Dr Gunzberg, the editor of the European Spine Journal and ask him about his collaborative research with chiropractors regarding this topic. 1. The references cited by Wikipedia indeed indicate this is not a chiropractic innovation. 2. The lengthy account of this on the linked website contains no formal reference citations to supporting evidence. 3. This is the famous ‘activator’, a tarted-up version of a spring-loaded automatic centre punch. For connoisseurs of chiropractic hilarity you can watch examples of this wonderful device in action here and here and here. 4. This is a case report: ‘research’ with N=1. Is there any remote possibility Mr Epstein might recognize just how pathetic his response is? “both health disciplines” I think not. One is a discipline supported by developing knowledge and research, the other is a magical belief system based on nonsense extricated from his fundament by a con man. @ME…Another chimera from a chimerical “professional”. Positing oneself as indispensable into all matters which benefit you (and likely you alone) was always the arena of the priest….seems DCs, PTs, ATCs and others of that ilk see the robust pecuniary reward of selling religion to the masses i.e. “bring me your pain and I’ll “treat-it-away””. Having just re-read, and with the intention of innumerable ‘re-reads’….More Harm Than Good, I can’t quite wrap my brain around how amazing, succinct, insightful and THOROUGH it is!! It is brilliant in all regards….not the least of which is your ability to create understanding from otherwise typically overwhelming topics e.g. statistics, ethics etc. Bravo! If anyone has ever contemplated “alternative medicine”, at any level, and has NOT bought this book then shame on them and: “you deserve to get swindled’!! It’s easy to recognize the blog-contributors here who HAVE NOT and WILL NOT read this book….. They are blind and need to remain blind for their own selfish reasons. now, that’s a nice compliment! but most of the praise must go to my co-author Kevin Smith who is brilliant. can we tempt you to put this comment on the book’s Amazon site? PLEASE! Yes, he is, plus the ex-husband of a chiropractor. 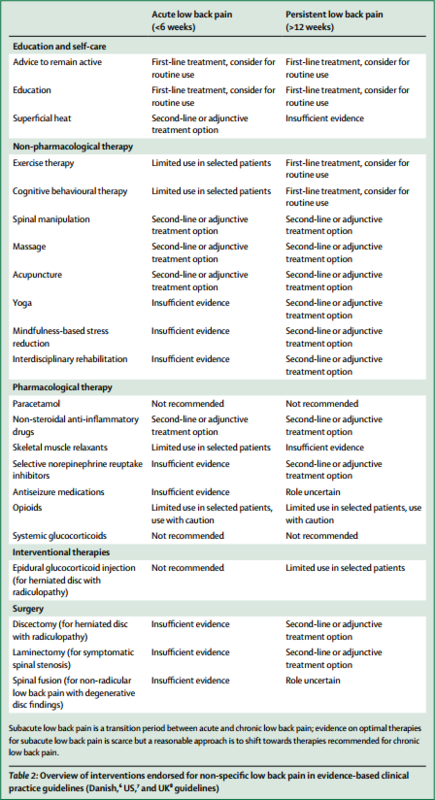 I see that the “shake, bake and fake” of modern physiotherapy is not even considered as an option for treatment. A+B is usually more than B alone. Osteopaths often advise against drugs. Until osteopathy became regulated in some countries, New Zealand and Australia for example, there were three types of osteopaths. 1) American trained, who had a very similar qualification to medical practitioners. 2). U.K., N.Z. Australian trained who had a similar qualification to chiropractors, but always better qualifications than physiotherapists. 3). Totally untrained, with no formal qualifications who did a few weekend courses in how to “crunch spines” and were than able to call themselves osteopaths as there was no regulation governing this. It is incorrect for you to use the professional designation “osteopath” without defining which group they belong to. Edzard … unfortunately you are right. The preliminary medical exam in the US has no effect for to stop US osteopathic physicians D.O. to support the old ideas of drugless healing by advertising Cranial Osteopathy and to call medication ‘a poisoning’ in general… but there is the same problem all over the world. The preliminary exam doesn’t stop physicians from practising CAM. GibleyGibley … and don’t forget the Swiss osteopaths with GDK diploma. Their training is according to the WHO benchmarks for training in osteopathy. The exam in Switzerland is done according to the law and to fixed regulations and subjects by officially adviced Swiss state physicians and contains embryology as a core subject !! to proof that they understand the details of the ‘involuntary mechanism’ (iatromechanic plus vitalism). Not that anyone is likely to be surprised. Back pain should not be ignored in its early stages, proper tests must be done and appropriate medicine must be taken prescribed by the doctor to relief pain. People waste a lot of money on irrelevant medicine and therapies that does not cure their disease. I would insist on a detailed medical checkup by following the medical guidlines. Why? I had a similar case suffering from meningeoma and her physicist (Dr. med.) whom I called was not willing to send her to the MRI when she went to him after my call. She reported to me alternating sensations for 3 minutes warm after 15 minutes cold a.s.o. AND as the one lower leg became cold the other became warm and this was alternating too every 10 to 15 minutes. I palpated this and it was true and her reflexes were weak but still there she could stand on her heels and toes but had light burning sensations tingling and numbness in both feet. Because the physicist (Dr. med.) told her “this guy (he meant me) has no idea what he is talking about” (I am a Heilpraktiker) I sent her to the emergeny unit the next day and she had a 6 hours surgery at once …. Uh, you do know EE that the Sitthipornvorakul, et al paper you mentioned on walking, that walking was compared mainly to PT based exercise, PT program or some type of patient education…and many of those papers used the A+B design…a design with which you seem to have an issue. You did read the paper, right? We all are at a staggering 84% chance of succumbing to back pain in our lifetime. which can interrupt our daily routine like a thoroughbred professional. But this pain needs to be catered to properly for reducing its propensity. we need effective treatments – but, at present, we hardly have any. Here are some tips for relieving from lower back pain. Maintain a healthy weight, Keep your back muscles strong, Stretch your muscles, Focus on good posture, Lift properly, sleep well. Any skeptics going to challenge these? Back pain is a very sensitive issue for everyone. As a back pain sufferer dr. advice me have to lose my weight. It’s a little more complicated than just loose weight or stretch some muscles. I don’t expect many to read these, but these papers may be of interest to those of us who actually deal with these patients on a daily basis. CONCLUSIONS: The results indicate atrophy in CLBP in the multifidus and paraspinal muscles but not in the erector spinae. No atrophy was shown in RLBP and ALBP. Fat infiltration did not occur in RLBP, but results in CLBP were inconsistent. No abnormalities in fiber type in the paraspinal muscles were found in CLBP. Reflexes were evoked in each of the homonymous muscles with latencies and estimated conduction velocities compatible with being evoked by Ia muscle afferents and having a monosynaptic component. Short latency heteronymous excitatory reflex connections were observed in muscles on the ipsilateral side, whilst reflex responses in the contralateral muscles were inhibitory in response to the same stimulus. The latencies of the crossed responses were on average 9.1 ms longer than the ipsilateral excitatory responses. These results are in contrast to the crossed excitatory responses observed between the abdominal muscles and trapezius muscles on the opposite aspect of the trunk. Conclusion Even between symptomatic episodes, young individuals with a history of low back pain demonstrated altered recruitment of the deep fibers of lumbar multifidus in response to changing locomotor speed during walking turns. These findings suggest that abnormal segmental motion noted on kinetic MR images is closely associated with disc degeneration, FJO, and the pathological characteristics of interspinous ligaments, ligamentum flavum, and paraspinal muscles. Kinetic MR imaging in patients with mechanical back pain may prove a valuable source of information about the stability of the functional spine unit by measuring abnormal segmental motion and grading of radiographic parameters simultaneously. Muscle attenuation varied by specific muscle (p < .001), was lower in older adults (p < .001), and was generally lower in women than in men (p < .001), although not in all muscles. Age-related differences in muscle attenuation varied with specific muscle (p < .001), with the largest age differences occurring in the paraspinal and abdominal muscles. CONCLUSION: The present findings show that there is selective ipsilateral atrophy of paraspinal muscles, specific to the symptomatic side, in patients with acute and chronic LBP. The reduction of the muscle CSA and increased fatty infiltration occurred synchronously, and the extent of change is significantly greater in chronic LBP in the ES muscle. Atrophy of the MF muscle appears to be at multiple levels but side specific in relation to symptoms in patients with chronic LBP, and the decreased muscle CSA may occur prior to fatty infiltration. CONCLUSIONS: Paraspinal fat infiltration, but not muscle CSA, was associated with high-intensity pain/disability and structural abnormalities in the lumbar spine. Although cause and effect cannot be determined from this cross-sectional study, longitudinal data will help to determine whether disabling low back pain and structural abnormalities of the spine are a cause or result of fat replacement of paraspinal muscles. Among older adults with chronic LBP of at least moderate intensity, L5 multifidi muscle composition, but not size, may help to explain physical function. Tendency of smaller trunk musculature CSA may be a cause or a result of chronic LBP. A unique pattern of larger CSA at L3-L4 and L4-L5 disc levels and smaller CSA at L5-S1 of Rectus abdominis muscles is observed in LBP patients compared to healthy persons. Differences in disc angles and CSA of disc at L3-L4 and L4-L5 levels between the two groups signify that these may be the predisposing factors leading to LBP due to abnormal load/stress transmission and precipitating early degenerative changes in the disc. As a result, the degree of intramuscular fat infiltration seems to be affected by age, disc level, and muscle type. It seems to be more prominent in the extensor muscles, extending from lower to upper levels. There was evidence for a negative association between cross-sectional area (CSA) of multifidus and LBP, but conflicting evidence for a relationship between erector spinae, psoas and quadratus lumborum CSA and LBP. Moreover, there was evidence to indicate multifidus CSA was predictive of LBP for up to 12 months in men, but insufficient evidence to indicate a relationship for longer time periods. While there was conflicting evidence for a relationship between multifidus fat infiltration and LBP, there was no or limited evidence for an association for the other paraspinal musculature. Conclusions This review found evidence that multifidus CSA was negatively associated with and predictive of LBP, up to 12 months but conflicting evidence for an association between erector spinae, psoas and quadratus lumborum CSA, and LBP. To further understand the role of the paraspinal musculature in LBP, there is a need for high quality cohort studies which extend over both the short and longer term. Eleven studies were included. With 1 exception, all pooled results were significantly different statistically between groups, suggesting that paraspinal muscles are smaller in patients with chronic LBP than in control patients and on the symptomatic side of patients with chronic unilateral LBP. In patients with acute unilateral LBP, there was no significant difference between sides. A qualitative examination demonstrated a trend toward an increased effect size when outcome assessors were unblinded. If you think it’s a simple cause and effect relationship, it indicates naivety on your part. did I claim it to be simple? based upon your request, yes, simplicity is implied. you have too much fantasy – but, I suppose as a chiro, you might need it.